The San Joaquin Valley Business Conditions Index fell in July, but remains above growth neutral for the 23nd consecutive month — pointing to healthy growth in the next three to six months. The July index was at 57.5, falling from June’s 58.6. An index greater than 50 indicates an expansionary economy. 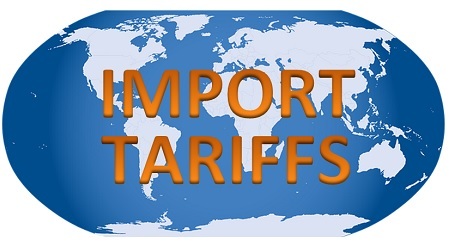 This month, survey participants were asked how tariffs were affecting their business operations. 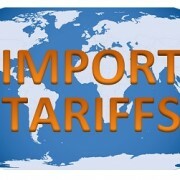 About one-fourth of firms reported tariffs have made purchasing from abroad more difficult. Despite this, four of 10 firms support raising tariffs to put even more pressure on trade partners. Wholesale prices: The prices-paid index, which tracks the cost of purchased raw materials and supplies, slipped to 68.6 from June’s 71.5, indicating elevated inflationary pressures at the wholesale level. “I expect rising tariffs and trade restrictions to continue to boost wholesale and consumer inflation growth above the Federal Reserve’s target. This trend has already pushed consumer inflation higher. As a result, in my judgment, the Federal Reserve’s interest rate setting committee will raise short-term interest rates by one-quarter of one percentage point (25 basis points) no later than Sept. 26,” Goss said. Business confidence: Looking ahead six months, economic optimism, as captured by the business confidence index, fell to a healthy 65.5 from June’s 70.5. “Healthy profit growth and still low interest rates boosted business confidence. However, I expect rising tariffs and trade restriction to shrink business confidence in the months ahead,” Goss said. Trade: The new export orders index climbed to 55.4 from June’s 50.8, while the import index slipped to a solid 49.8 from 55.2 in June. “The expanding regional economy is supporting international purchases from regional businesses,” Goss said.